Get ready! In hopes to raise enough money to fund our trip to New York for our Carnegie Hall performance, we are putting on a Halloween themed fundraiser concert at Spiderhouse Chapel on Friday, October 28th! Doors open at 7:30pm and the show begins at 8pm. Early bird special on tickets are $8 online, but they are limited! The tickets will eventually increase to $10, so get yours right away! 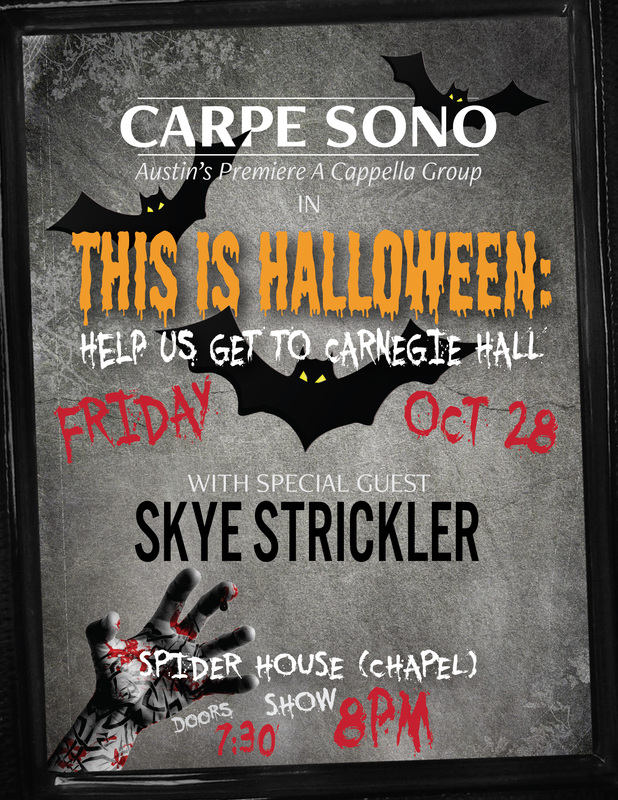 We will be joined by a special guest performer and former Carpe Sono member Skye Stricker! You don’t wanna miss this event! You can purchase tickets via Eventbrite here.